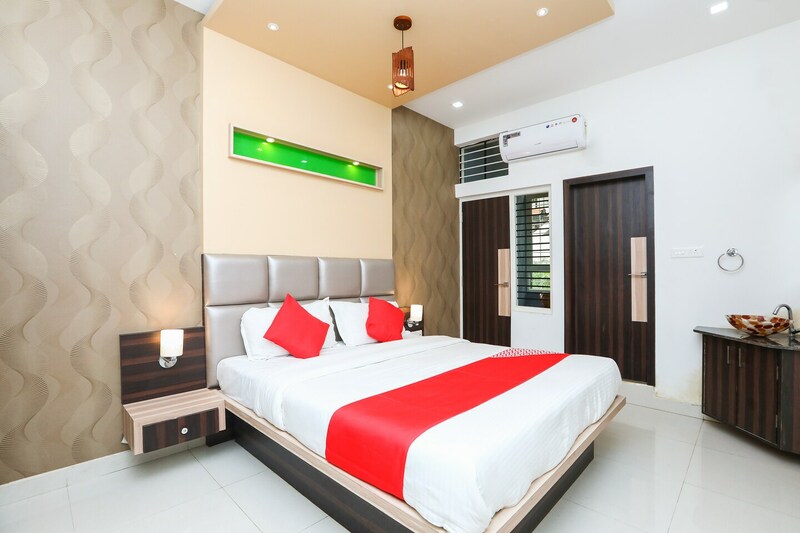 SJ Residency is one of the budget-friendly hotels in Mysore, which is modern and neat. The hotel offers a private parking area. The rooms are bright, cozy, feature stylish wallpapersand offer all modern amenities like TV, TC, free WIFI and a sturdy queen-sized bed. The bathrooms are Beautifully tiled and well-maintained. It is one of the budget-friendly accommodations situated close to the citys churches and temples. There are quite a few eateries like The Barge Restaurant, Fish Curry Riceand By The Way nearby too.